There's been a significant growth in the monitor market when it comes to screens with LED backlighting. I wanted to provide an article which explains the technology in more detail as it is bound to become more and more widespread. The technology was originally quite expensive, but reduced production costs and improved manufacturing processes have allowed LED backlighting to be used in even the lower cost monitor market. We are now seeing an influx of new screens in all different sizes using LED backlighting, and it is also being combined with TN Fillm, VA and IPS panel technologies. 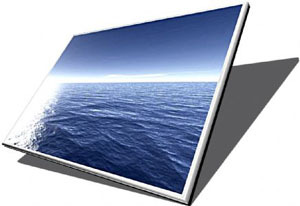 In modern LCD desktop displays, there are several different types of LED backlight units (BLU's) used. RGB LED Backlighting - This type of backlighting is based on RGB triads, each including one red, one green and one blue LED. RGB LED backlighting ensures an excellent colour gamut and very pure colours, but is only really used in professional-grade displays such as the Samsung XL20, XL24, XL30 screens, and modern professional models like the HP DreamColor LP2480zx. This type of backlighting is only used in this sector due to its high cost and it is not economical to produce at the moment. An edge backlight with white LEDs (W-LEDs) - The LEDs are placed in a line along the edge of the matrix, and the uniform brightness of the screen is ensured by a special design of the diffuser. This backlight does not offer the option of zonal control over brightness like the direct lit method does (see below). It can not offer an extended color gamut either. Instead, it is economical and compact, which makes it popular among notebook makers and with manufacturers producing ultra-thin displays and keen to keep costs to a minimum. This is the variation commonly being used in desktop displays at the moment. Modern displays and LCD TV's have progressed from having 4 sides lit by LED backlights to only 1 side. This helps reduce cost and improve efficiency. A flat backlight based on white LEDs (W-LEDs) - As there is only one third of the total amount of LEDs here, this backlight is much cheaper than the triad-based backlight, but it cannot deliver an extended color gamut. In the backlight of this type LEDs are uniformly distributed in the plane parallel to the matrix, which allows setting the backlight intensity differently in different parts of the screen when necessary. This is the further development of the dynamic contrast technology. It is currently employed in LCD TV-sets only and is also referred to as 'direct lit' W-LED. A note about white LEDs - A white LED is actually a blue LED with yellow phosphor to give the impression of white light. The spectral curve has big gaps in the green and red parts. Colour Gamut - this is controlled in monitors by the properties of the colour filters of the LCD matrix, and by the backlight's radiation spectrum. You will see CCFL backlighting offering colour gamuts covering between 72% (commonly referred to as "standard gamut" / sRGB) and 102% of the NTSC reference colour space. 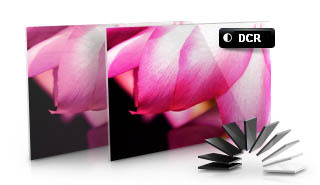 The CCFL backlighting above 72% are commonly referred to as wide gamut, or W-CCFL / WCG-CCFL. 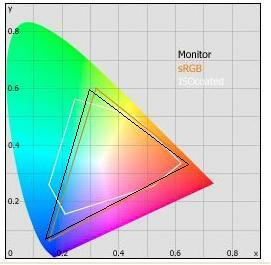 In LED backlighting, the RGB LED format can offer really large colour gamuts with pure and saturated colours. These can cover typically >114% of the NTSC colour space, and is one of the reasons they are often employed in high end professional screens. W-LED backlighting cannot offer these extended gamuts, and on paper actually cover slightly less of the NTSC colour space than standard gamut CCFL (typically 68%). The difference is hardly detectable by the naked eye however. Colour Accuracy - aspects of colour reproduction do not depend on the type of backlight at all. They are determined by how accurately the monitor is set up in the factory, the characteristics of the panel technology and the internal electronics to a degree. Static contrast ratio - LED backlighting models are advertised with massive contrast ratios, ranging commonly into the millions now! Figures of up to 20 million:1 are common at the time of writing. Be aware though that these are normally headline dynamic contrast ratio figures, with the normal static contrast ratio rarely even mentioned. It is important to understand that static contrast ratio is only determined by the characteristics of the LCD matrix itself and not by the backlighting type or nature. It is determined by the ratio of the transparency levels of open and closed pixels. Dynamic contrast ratio - As opposed to gas-discharge lamps (CCFL), LEDs can be lit up instantly or turned out completely. This can lead to extremely high levels of dynamic contrast as we have mentioned above. Figures in the millions are very common now. But in real applications, for example when watching a movie, there are no absolutely black frames even in the credits. Most of the time there is something on the screen besides blackness and a monitor with a huge specified dynamic contrast will never have the chance to deliver it in practice. As a result, there is no real practical point in increasing the dynamic contrast higher than about 10,000:1 which has already become standard for many monitors, including those with a backlight based on CCFL lamps. Keep in mind that DCR figures are often exagerated as a result, and since you will probably never get to utlise the full figure in practice, don't be fooled into buying into the hype too much! Uniformity - Most desktop monitors use edge-lit W-LED backlighting with a line of LEDs along the edge of the panel. The whole screen is lit by means of a special diffuser, and so it is this which really determines the brightness uniformity you experience. The uniformity of brightness depends only on the design of the diffuser and you can often see various defects like bright spots or a brighter zone at the edge of the screen where the lamp or the line of LEDs resides. Having an LED backlight does not guarantee you better uniformity. In fact, good uniformity is harder to achieve in the long term as the LEDs age, with each LED possibly aging at a different rate. With RGB LED units, the use of three separate light sources for red, green, and blue means that the white point / colour temperature of the display can move as the LEDs age at different rates as well. Instantly On - some manufacturers mention that an LED can be instantly turned on, meaning there is no warm up time like there is with a CCFL backlight. This is true, but it's debatable how important this really is to an end user. Size - LED backlighting units can be very thin, allowing manufacturers to produce ultra-thin displays with sleek and attractive designs. 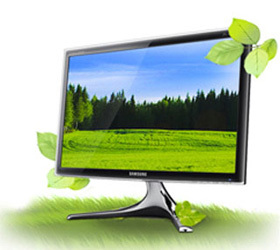 You also see this technology used in laptops and LCD TV's for the same purposes. This technology has allowed production of thinner screens which are in high demand by consumers. Manufacturers are actively working on reducing the size of the LEDs to be used in these modules to improve things even more. Screens using a flat W-LED or RGB backlight behind the panel cannot offer the same thin profile however. Environmental - LEDs do not contain mercury, unlike CCFL's and so can be recycled more easily. You will see mention of various certificates and compliance standards as well, such as 'RoHS compliance'. These can show the displays have met recylcing standards. Certainly a benefit of LED backlighting for the environmentally concious. 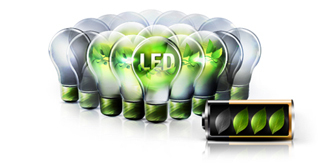 Power Consumption - This is perhaps one of the key advantages of LED backlighting in modern times. The technology uses less energy and so you can save money and energy and reduce your carbon footprint at the same time. For example, the non-LED version of the 24" BenQ G2420HBD consumer display has a 49W consumption compared to the 24W of the LED version of the same display (G2420HBDL). The BenQ LED monitors are typically marketed as offering a reduced power consumption of 36% in comparison to traditional monitors. Other manufacturers quote similar figures, with 35 - 40% energy saving being common. You will also see various ratings and 'certificates' applied to these screens such as Energy Star and the likes. At the professional end of the market where RGB LED backlighting is used, it is combined with high end panel technologies such as AMVA (from AU Optronics) or IPS (from LG.Display). These panel technologies are more expensive to produce than the widely used TN Film panels in the mainstream market. When you are using an expensive backlighting unit, it obviously should be paired with a higher-end panel though. In fact, modern RGB LED displays such as the HP DreamColor LP2480zx even use a one-of-a-kind true 10-bit H-IPS panel (not 8-bit +AFRC like some of the other modern "10-bit" screens). RGB LED models are few and far between though of course. 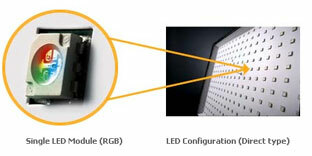 W-LED backlit models are becoming more and more mainstrea. Initially the technology was combined exclusively with TN Film panels, since low production costs (and low retail costs) were the name of the game. There are many TN Film based models out there with LED backlighting now. More recently, in the later half of 2010, we have seen models emerge combining W-LED backlighting with VA and IPS matrices. AU Optronics have released modules in several sizes which combine their AMVA panel technology with LED, and LG.Display have begun to release a combination of IPS and LED. The BenQ EW2420 and VW2420H were two of the first VA based screens on the market with LED. The NEC EA232WMi and forthcoming models from LG will be some of the first to use IPS + LED. We expect this trend will continue.